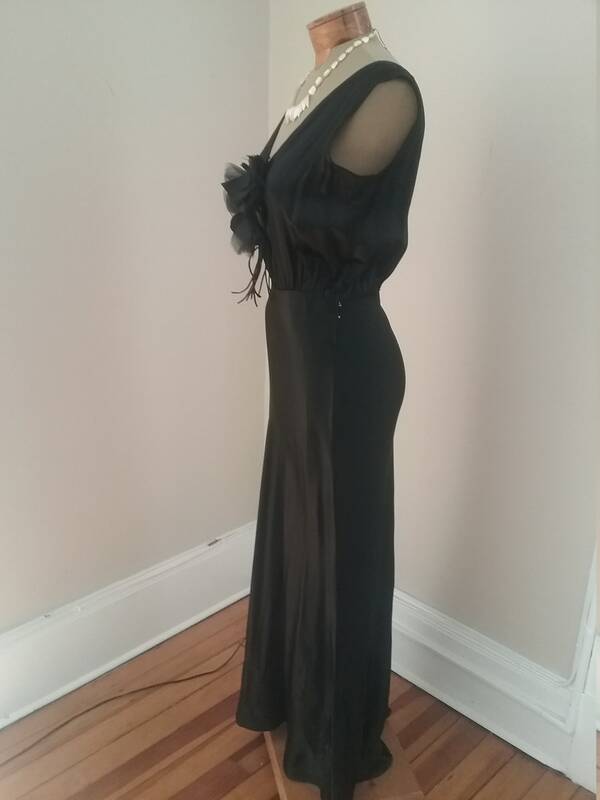 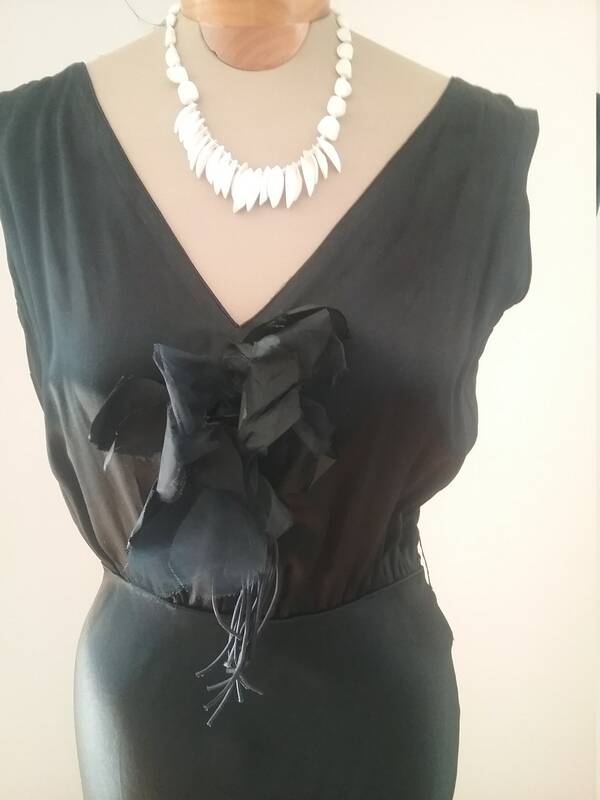 1930's, 36"bust, black pure silk satin, bias cut gown, with large black silk satin flower placed in middle of bodice. 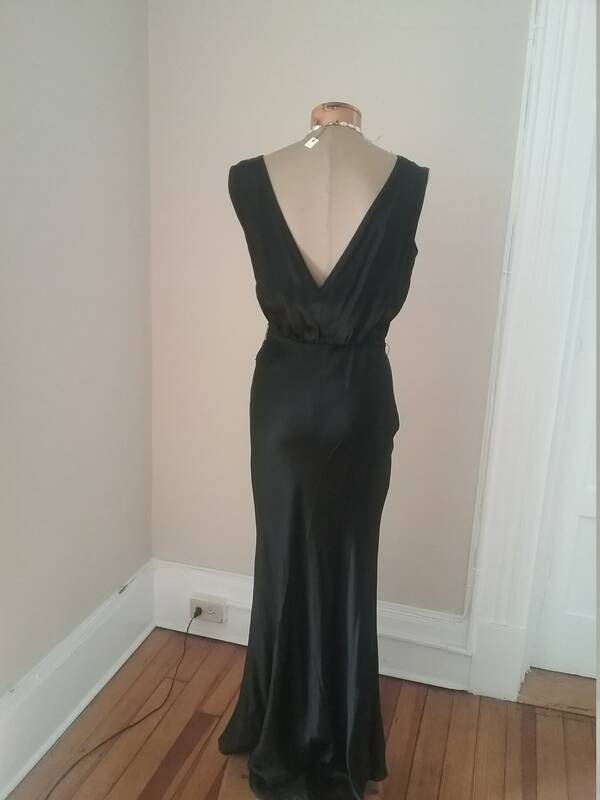 The gown is sleeveless, with very deep cut upper front and back. 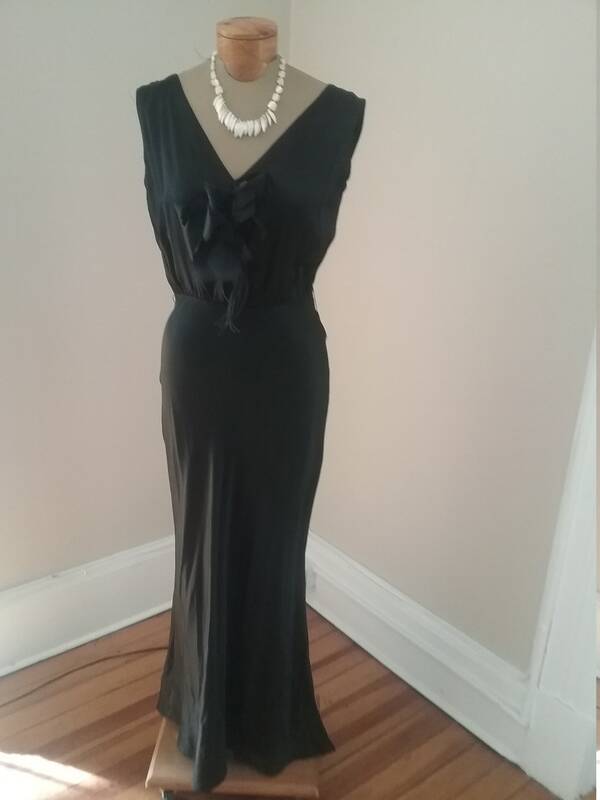 Gown is fastened on left, under Arm hole, with snaps and a hook and eye. 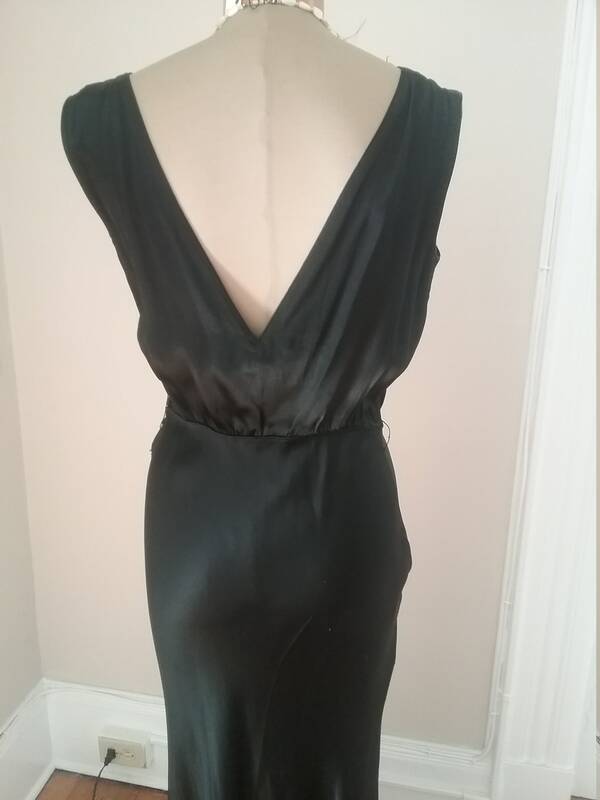 Shoulder to hem front, 56", shoulder to hem back 66"